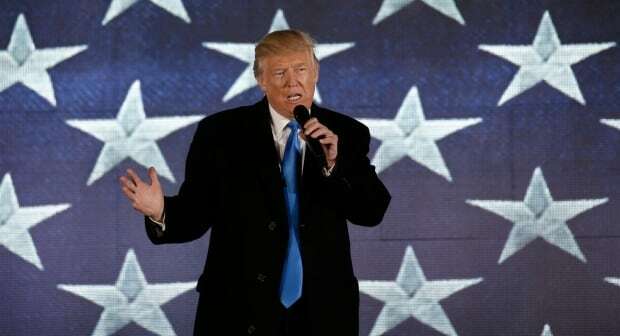 ‘Closing the door’: Trump bars all Syrian refugees from entering the U.S.
Prime Minister Justin Trudeau is preparing to meet as early as this week with U.S. President Donald Trump, a visit intended to underscore the deep economic and security ties between the two countries. But it also carries substantial political risk. While the date and location have yet to be confirmed, Canadian sources say the prime minister wants to sit down with Trump as soon as possible to explain the importance of the cross-border trade relationship that’s worth more than $660 billion annually and supports millions of American jobs. Trump, as anyone who follows the news will know, is a free-trade skeptic. He’s said the Keystone XL pipeline should be built, but only with American steel. He’s made it clear that companies looking to expand or build should do so in the U.S. or face stiff tariffs. But economics is only one of the course requirements Trudeau needs before his first face-to-face encounter with Trump. National security and values are the other big ones. The prime minister will have to convince Trump that Canada’s decision to admit 40,000 Syrian refugees doesn’t pose any security risk to the U.S.
That task took on far more importance on the weekend when Trump signed an executive order banning all citizens from Syria and six other predominantly Muslim countries from entering the U.S. It was retweeted more than 420,000 times, the kind of activity that might very well have caught the eye of a U.S. president who uses Twitter to take on his critics and make policy announcements. “The prime minister will have to tread very carefully,” says former Canadian diplomat Colin Robertson, a vice-president and fellow at the Canadian Global Affairs Institute. Trump invited Trudeau and Mexican President Enrique Pena Nieto to Washington this week for separate, bilateral meetings, to be followed by a Three Amigos summit to discuss North American issues. 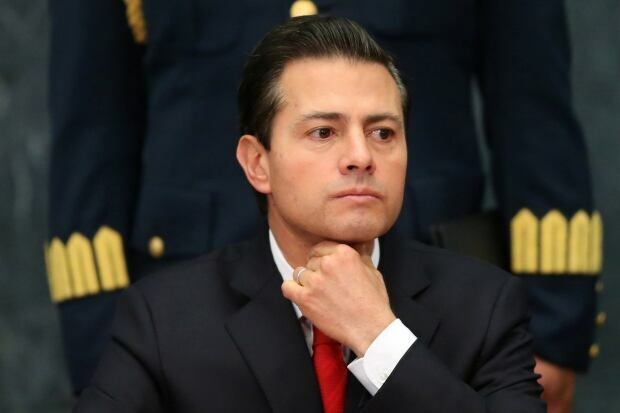 But the Pena Nieto visit was cancelled after Trump signed an executive order to begin the design and construction of his promised wall along the U.S.-Mexico border. Mexican government officials tell CBC News they understand Canada will go ahead with its meetings to defend its own interests. Mexican newspapers have been less charitable. “Canada abandons Mexico in NAFTA negotiations” was a headline in El Excelsior. Officially, the Mexican officials remain hopeful that Canada will continue to stress the importance of NAFTA and Mexico’s role as a partner. There’s also a risk of alienating progressive Canadians by meeting with Trump at all. New Democrats argue Trudeau needs to be much more forceful in denouncing Trump’s travel ban. But Conservative MP Randy Hoback says priority No. 1 is to keep the border open to Canadian goods. In other words, when Trump talks about getting back into coal-fired power generation, Trudeau should talk up Canada’s carbon-sequestration technology. If Trump wants to talk about border taxes, the prime minister should remind him that 35 states list Canada as their largest trading partner. Whatever he does, Trudeau is sure to be criticized. 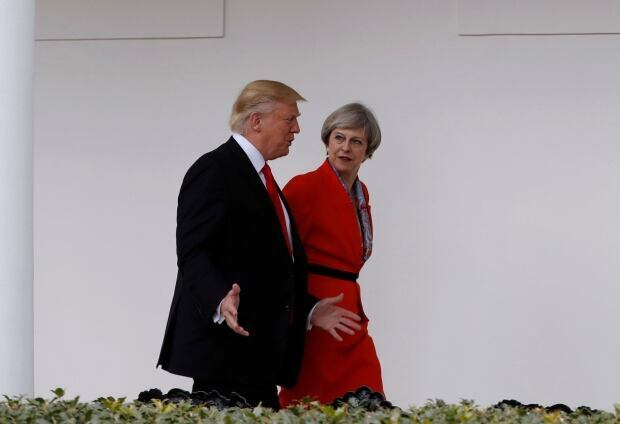 British Prime Minister Theresa May, the first foreign leader to meet Trump at the White House, is under considerable pressure to withdraw an invitation to have him visit the U.K. The Independent newspaper reported Monday that a petition calling on the government to cancel the state visit has a million signatures. Greg MacEachern, a former Liberal staffer who runs the Ottawa office of Environics Communications, says Trudeau has a duty to meet with Trump even if the president’s statements about women, Mexicans and other groups are so at odds with his own commitment to inclusiveness and equality. Trudeau and Trump have spoken on the phone three times since the president’s election victory in November, most recently on Monday when Trump called to offer his condolences and support following the shooting at a Quebec City mosque that killed six and left five others with critical injuries. Key cabinet ministers like Natural Resources Minister Jim Carr and Transport Minister Marc Garneau are planning visits to Washington, as soon as their American counterparts are confirmed by the U.S. Senate, to discuss energy and infrastructure priorities and to show how Canadian and American interests in these areas intersect. And Andrew Leslie, the new parliamentary secretary for Canada-U.S. relations, who knows a number of Trump’s cabinet ministers from when they were all ranking military officers, has already been several times. The goal here is to show Trump that Canada is a safe, dependable and valued partner. Even when, as last weekend shows, there are issues on which the two will disagree.